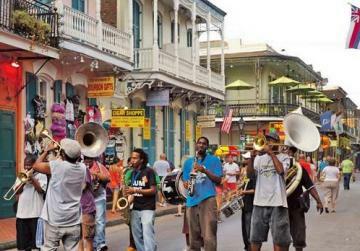 A decade after Hurricane Katrina wreaked havoc and tragedy over the Big Easy, Miriam Calleja discovers a city that has bounced back on its feet to delight travellers’ senses. I like to think of New Orleans fondly as New York’s younger, raunchier sister, who’s got more than a touch of a feisty European in her. I don’t know many places which are quite as musical. Day and night, in most random bars and even some cafes, musicians and singers are passionately belting out tunes. New Orleans is a haven for seafood lovers; think of Po Boys, so many different kinds of oysters, jambalaya and gumbo. It might not be worth going for the higher-end places, simply because the street food-style places offer delicious dishes. The fancier options might tend to lose their authenticity and layers of flavour. You must try the oysters raw or grilled, they’re usually comparatively affordable, rather large, and served on the half shell with an array of condiments (read: hot sauces). A Po Boy or ‘poor boy’ is a sandwich with fried or grilled seafood, traditionally a low-budget meal. At first it sounded like an odd combination to me, but if you’re hungry for a substantial snack nothing hits the spot better. There will be many shacks, and even larger restaurants, serving Po boys, so just pick one at random and do it like the locals. Again, go for authenticity over aesthetics here. My personal favourite: I recommend Coop’s Place wholeheartedly for all of the above as well as dishes such as marinated crab claws, fried chicken and more. Once you’re there, you might want to enjoy a traditional Mint Julep or other cocktail with your meal. For dinner, head to Acme Oyster House in the French Quarter and start getting ready for the night with some oysters on ice and cocktails. Perhaps, you will feel brave enough to tackle Bourbon Street soon. One obligatory stop when you’re in New Orleans is the 19th century Café du Monde on Decatur Street. This is an open-air café that sells only beignets, coffee and orange juice. It also seems to employ way too many waiters, half of which will be standing at the back drinking coffee, chatting and texting. Someone will come to your table soon enough. Beignets are freshly-made deep-fried dough squares, served in threes, hot and covered with an inappropriate amount of icing sugar. It is basically one of the few places in the world where it’s fine to sit around with white powder all over your clothes and face. You’ll be so happy that you won’t care. 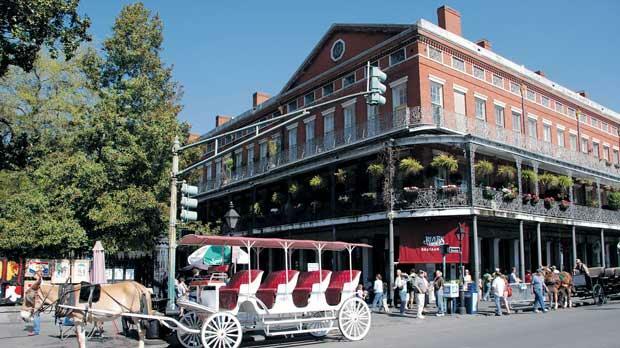 The St Charles Avenue street car is the oldest, continuously operating street railway system in the world and a quaint way to get a feel of the place when you’ve just arrived. Depending on the location of your accommodation, you will be able to get around on foot, by bicycle or with a rental car. Parking isn’t too difficult in most areas, just watch out for the meters to pay by hour. Don’t miss those shops with a wide array of hot sauces available (there are plenty of them around), with specialty shops having tasting options. These make for a surprising souvenir or a memento that will keep you burning to return. Praline – if you have a sweet tooth or looking for edible gifts, Aunt Sally’s praline shop is the place to find an assortment of gourmet and traditional goods. Clothes – if you’re into leather look out for quality custom-made shoes, clothes and accessories at Adventure Traveler (629, Toulouse Street). Walk down Decatur Street and the surrounding areas for burlesque-style, pin-up, and gothic clothing. Then check out Queork, just one block east of Jackson Square in the French Quarter between Chartres and Royal for unique cork goods. Pen and paper – Papier Plume for fine writing goods. If you’re a jazz fan, or even if you’re mildly curious, don’t miss a chance to experience the real deal at Preservation Hall. No drinks or food are allowed inside, and definitely no photographs, but simply pure jazz delivered by the most talented. You can either book your ticket online or wait at the door for one of three performances every night. If you get your ticket at the door, you might need to queue and, consequently, sit on the floor or stand in the back. The room isn’t big and the performance is over way too quickly, so this option isn’t so uncomfortable, as long as you’re in the queue on time to secure a good spot. Most bars, especially in the evening, will have a band of sorts playing covers and original songs. Some are much better than others. You will need to buy a round of drinks at each set in some bars, but with the drinks being as strong and large as they are, you will need to pace yourself unless you want to join the drunken mob on Bourbon Street. There’s always something happening on Bourbon Street. Think of the busier streets of Paceville in August the morning after. But make it smellier and noisier, with more men trying to give you necklaces, and a multiplied number of ‘gentleman clubs’ (oh there are some for the ladies too). Everyone I spoke to suggested spending four seconds in Bourbon Street just for the experience. I can guarantee that the tolerance is higher than that for most Europeans, who are more used to this kind of thing. The National World War II Museum is as impressive as it is heart-wrenching. With hundreds of display rooms, a cinema, recordings of personal experiences, frequent special events and tours, this museum aims to show you the true magnitude of this world war from an American point of view. Aim for Jackson Square (close to Café du Monde in Decatur Street) to get a breather and appreciate the street artists and buskers. 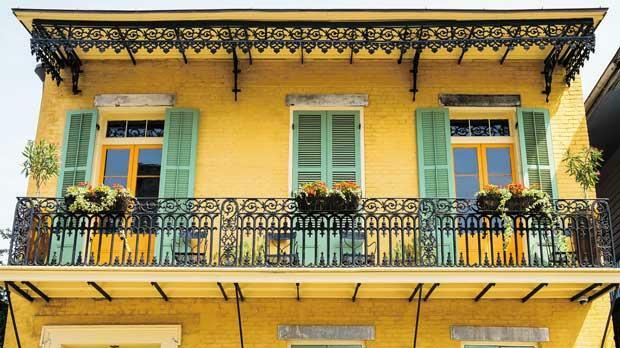 Walk around the French Quarter to admire the beautiful curly ironware, hanging plants, cute little boutique shops, and artsy antique shops. New Orleans is a special, joyous place. You might leave with a full tummy and a light wallet, but you’ll want to come back for more pretty soon.